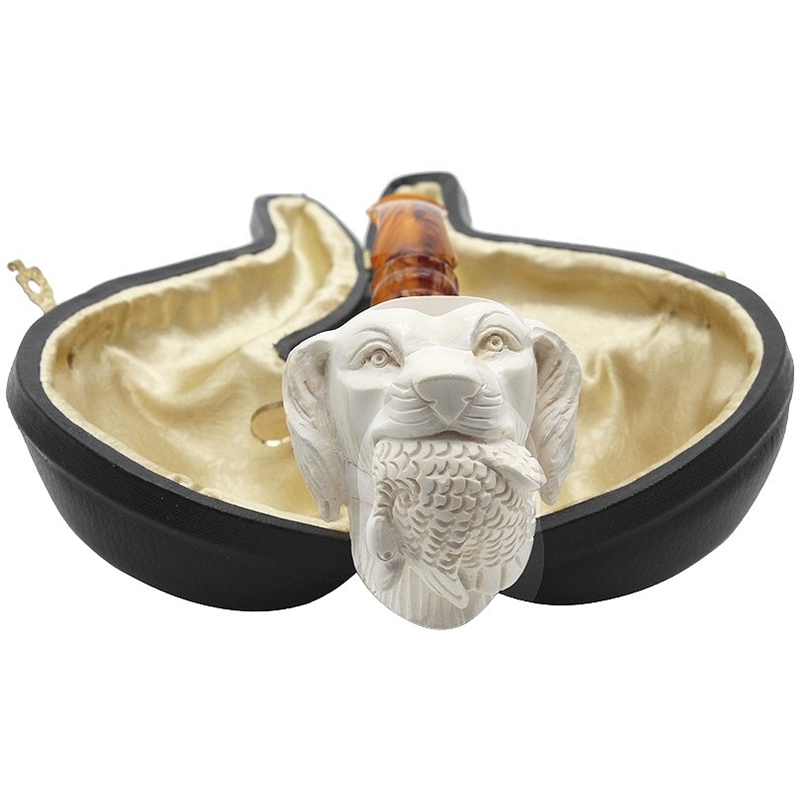 Deluxe Hand Carved Bird Dog with Silver Ring Meerschaum Pipe - This hunting dog holds the prey and proudly looks up with his puppy dog eyes having done his duty by fetching the bird. 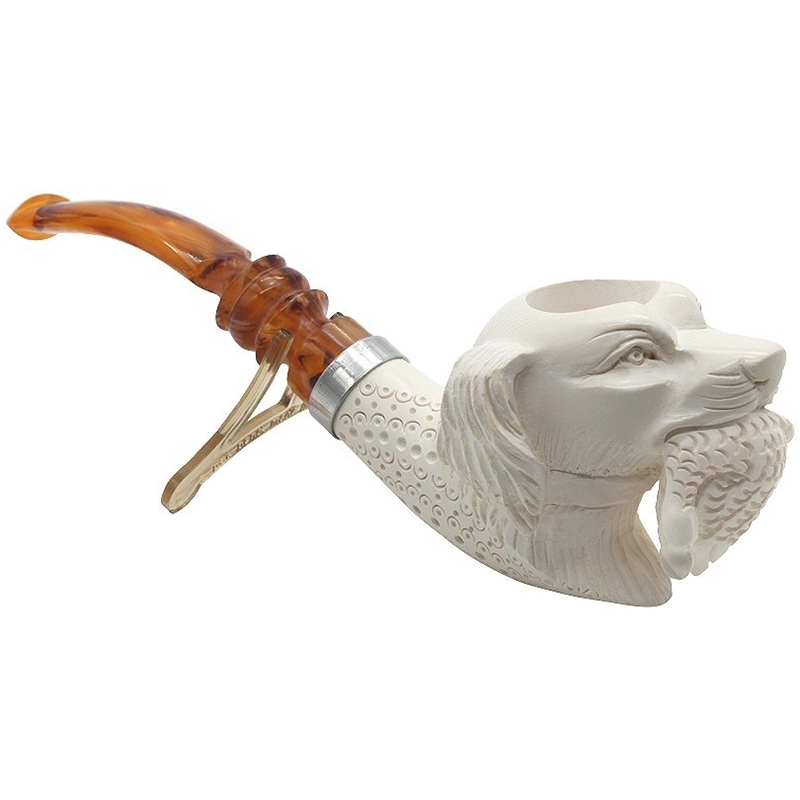 The pipe has a nice deep bowl and features a silver colored trim ring attaching to a scrolled designer stem. 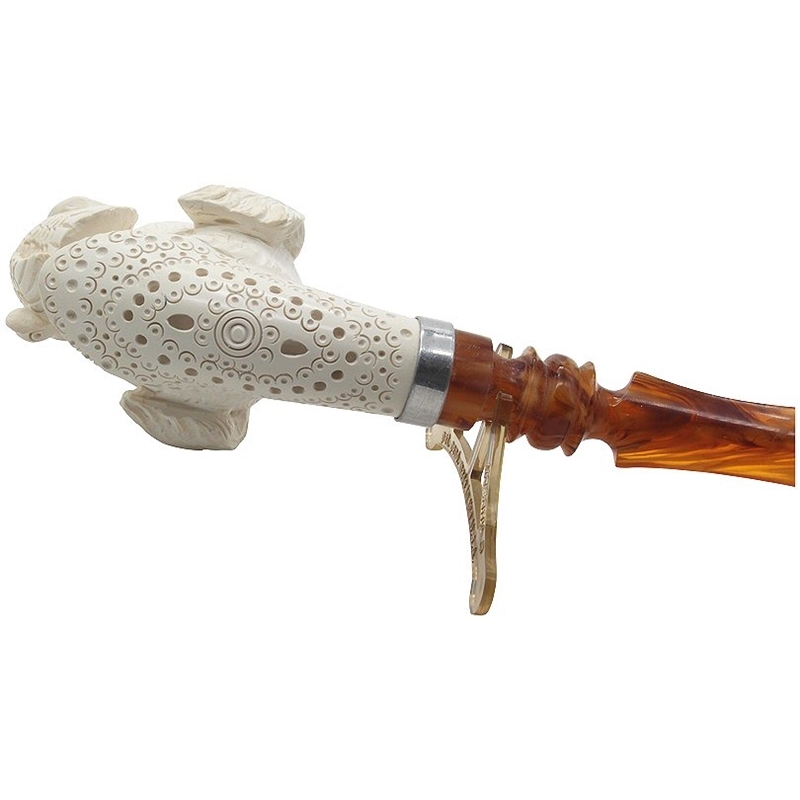 Another special feature of this hunting dog pipe is the intricate designer lattice carved all on the underside into the shank. 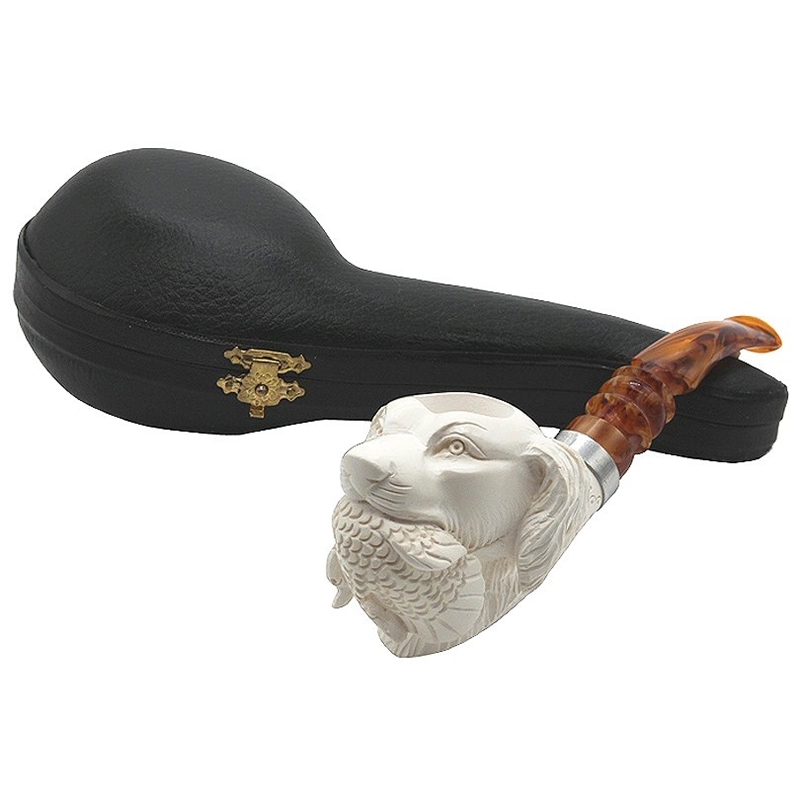 A great smoking pipe and a terrific collectible pipe for the bird dog loving pipe smoker.